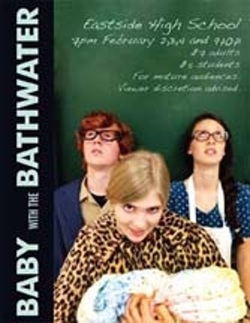 "Baby with the Bathwater" is a dark comedy about two dysfunctional parents who wreck havoc in the life of their only child because of their own inadequacies and character flaws. Although a nanny, neighbors and a psychiatrist try to intervene, not much progress is made. Can this poor child survive this upbringing? This play is rated PG13 for language and risqué content.